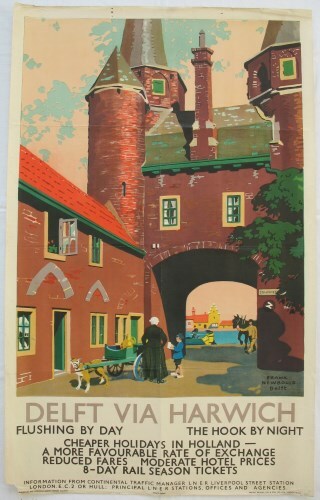 Lot 47 D/R Poster 1939 LNER "Delft via Harwich", by Frank Newbold. An image of the historic town centre and canals of the Dutch pottery town. Very good condition, with a small paper loss to the bottom left corner.